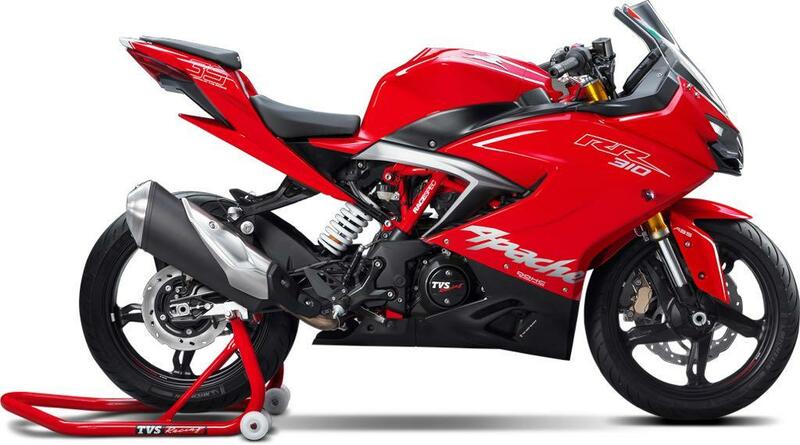 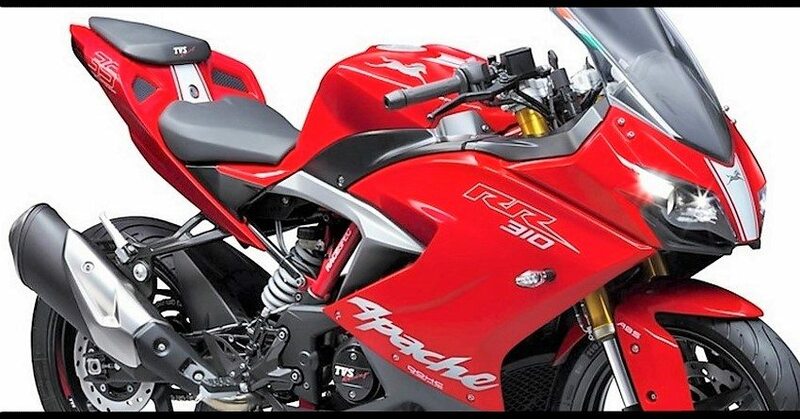 Apache RR 310, the first in the fully-faired segment by TVS was launched in India last year and is known as the company’s best effort till date to step up their game like no another. 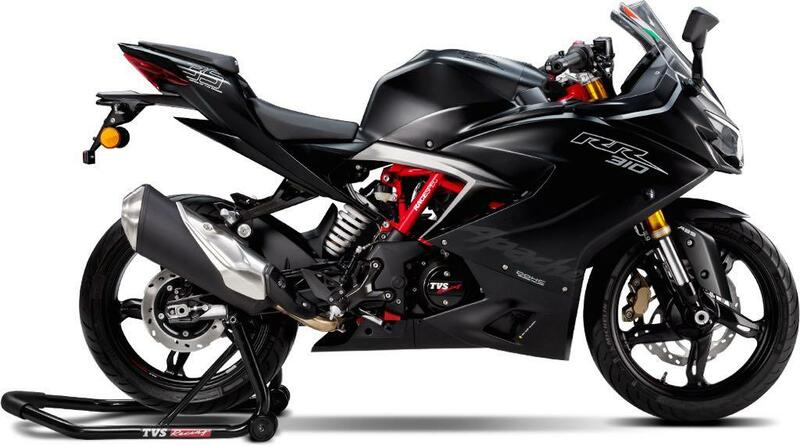 It was launched as a flagship model to acknowledge TVS’ 35 years of racing history. 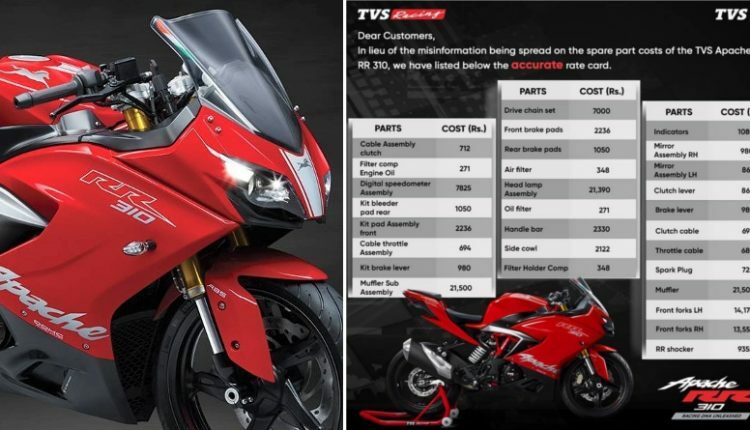 Available in India with a price tag of INR 2.23 lakhs (ex-showroom Delhi), the flagship model is powerful enough to get a crazy fan following all due to its stunning design and robust performance. 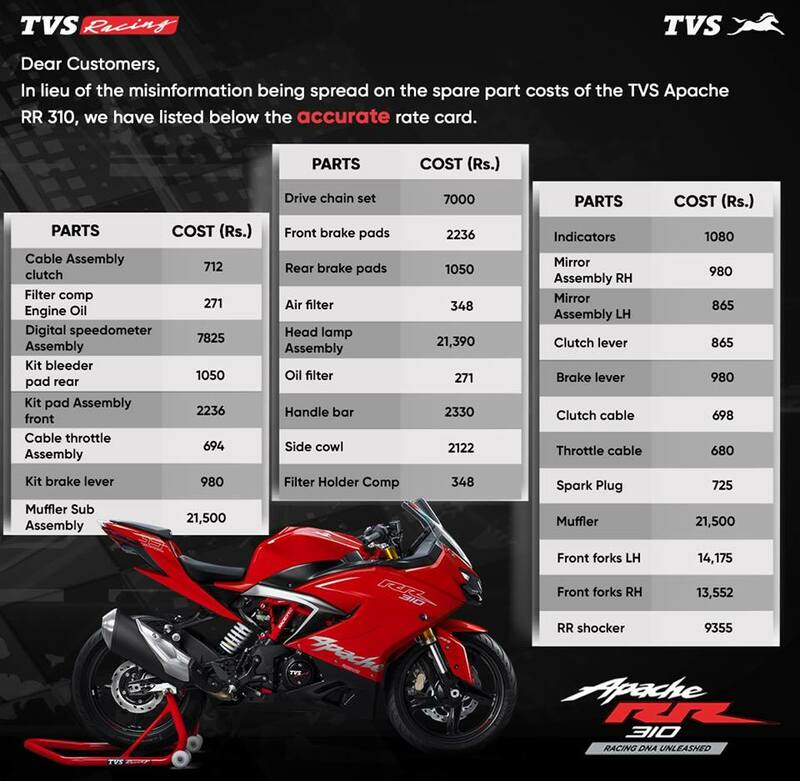 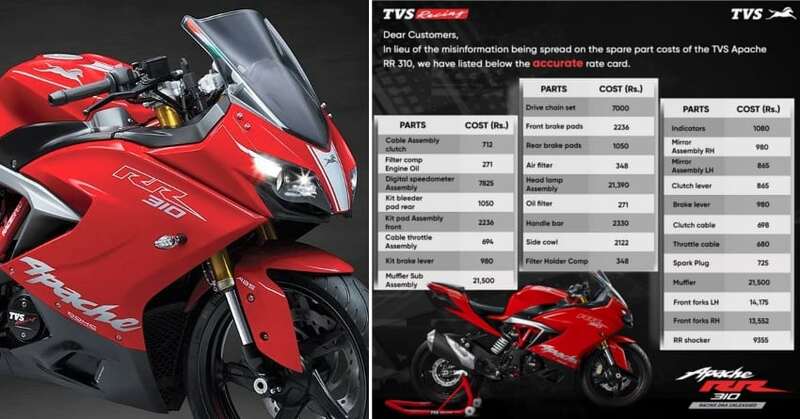 Coming to the bike’s maintenance, which is unavoidable, there was a YouTube video that depicts the prices of TVS Apache 310’s various spare parts.